If you want to embrace the latest style trends but hate the idea of commitment, you’re in luck! 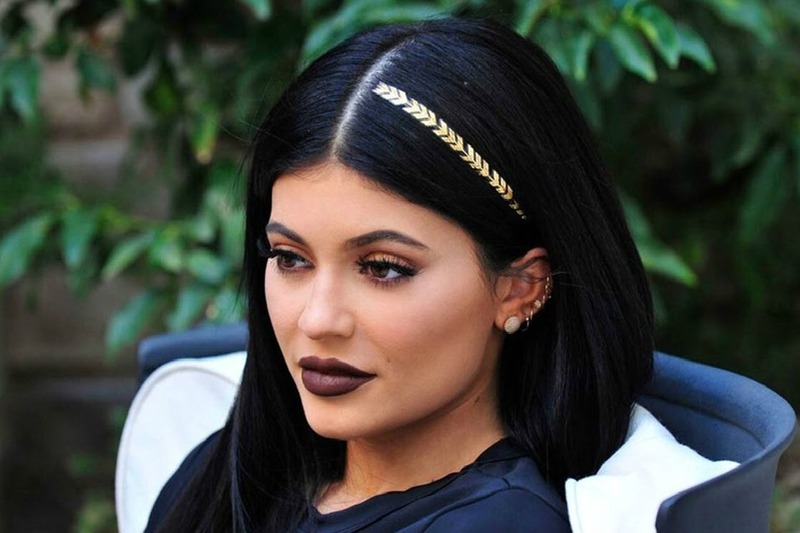 Trendsetting reality star Kylie Jenner recently stepped out wearing a hair tattoo and this unique accessory has been spotted everywhere from the runway to the popular music fest Coachella. It’s like adding instant highlights, without having to spend a ton of time in the salon. These glittery adornments are easy to apply and are completely temporary, the perfect glitz to add to your tresses. Scunci has come out with tons of designs and colors and the popular company can’t keep this latest craze in stock. From simple gold arrows to intricate floral designs, they work in the same way as regular temporary tattoos and are easy to remove. Where other trends like color chalk and pastel dyes have been better for blonder hues, the metallic gold and silver tattoos really pop against dark black and brown tones. To apply, place your chosen design face down on your locks and press a damp cloth over it. Changing your look doesn’t come easier than that! Make sure that you’ve styled your hair first — so the tattoo applies smoothly and really pops. Not only are these temporary metallic designs simple to use, but they are a must-try to add some extra sparkle to your look! Mother’s Day: a special look for your special day!